Every now and then, we like to spotlight our clients’ amazing achievements, whether they be in sport or in life. This month we’d like to introduce you to Russel Taib. Russel is a talented young sprinter, aiming for Commonwealth Gold. If you would like to kn ow more about Russel, he has a great website to check out here. 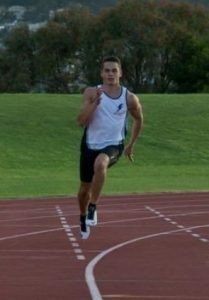 If you’d like to talk to Russel about his training, recovery or competition regime, contact him through his facebook page here. You’ve been an athlete most of your life, what was it about sprinting that started you on the journey to chase Olympic gold? It was my P.E teacher at school when I was 11 years old that started me off in athletics by calling my mum and suggesting that I find a coach. Eventually mum and I found a coach and it went from there. In 2015 I decided to solely focus on sprinting and left the other sports I played in and I haven’t looked back. 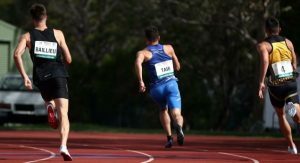 I won my first national title at the Australian Junior Athletics Championships when I was 12 in the Under 14 age-group, and that was the main driving force behind me wanting to become an elite sprinter. The feeling of running at full flight is unbeatable to me. What are your favourite events? I do the 100m, 200m and 400m events. 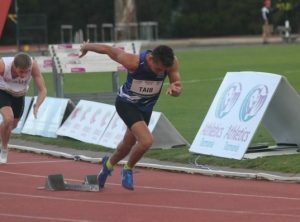 However, my favourite race is the 200m, which hopefully I’ll be able to focus on more in the next season to come. My favourite part of a 200m race is the transition from running off curve and into the home straight. You represent Malaysia in athletics, what will be the next big competition you’re aiming for? This year the SEA Games are going to be held in Kuala Lumpur, Malaysia this year, so it would be an honour if I was able to be selected for this big competition. If not, then that will just make more determined to be selected for the following SEA Games’ in years to come. I think all teenagers in any sport dream of one day representing their country in their chosen sport; it’s the ultimate accolade and honour to be selected and it validates all the hard work put in. Any international competition is a privilege to compete in, and it’s a pleasure to represent Malaysia, and ultimately the most exciting thing is to compete at the highest level. Long-term I will be aiming to compete at the Sukma Games in 2018 held in Perak, Malaysia, and of course the Gold Coast Commonwealth Games is my major aim right now. Give us a little bit of a run-down of what your training week looks like when you are preparing for competition? In a normal training week I’ll train on average 5 days a week, which consists mainly of running sessions on the track or up hills, and gym sessions. On some days we’ll do running and gym sessions back-to-back which is tough but enjoyable. Tell us how you feel Myotherapy here at Mobilise helps you? Tight muscles, sore spots, and injuries are a part of all sports and of course they can be detrimental to performance if not addressed. That’s why it’s important for me to ensure I’ve got the best team around me so I can keep working hard in training, optimise my performance and improve my recovery time when injuries happen. At Mobilise I feel that I have the best people helping me stay healthy so that I can give my all on the track and in the weights room. The therapists at Mobilise really take the time to understand my needs and root to the pain I have in my body. From there, they design the appropriate treatment methods suited to my goals and the requirements of my training and sport. Not only do I feel better physically, but I leave Mobilise in a great headspace. I always gain more knowledge and confidence after treatment as the therapists at Mobilise make the effort to explain what they are looking for during the myotherapy appointment, why they are doing it, and have a wealth of knowledge which makes them able to understand where pain stems from, why it happens, and how to get rid of it. Very thorough. 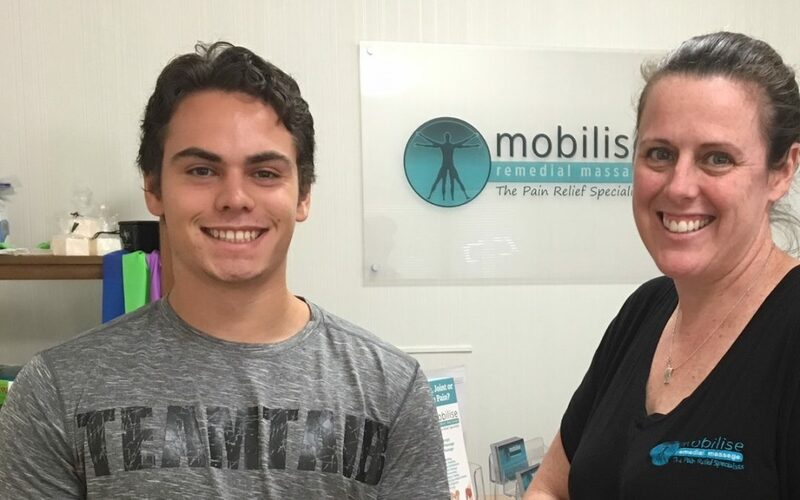 I will continue to make appointments with Mobilise because there’s an obvious abundance of knowledge between all the therapists at Mobilise and I can feel the results of my appointments benefiting me as an athlete. What’s been your greatest athletics success so far? I think my most successful moment in my athletics was when I proudly represented Malaysia at the first ever Youth Asian Games in Doha, Qatar in 2015 to win my first international medal (bronze) in the 400m. It’s always an athlete’s’ dream to be able to wear the nation’s’ uniform and compete for them with pride, so to do that for my first time at age 17, it was incredible. And finally a fun question: If you ever had the chance to take Usain Bolt out for a coffee, what three questions would you ask him? What advice would you give to any young athlete in order to be successful? What do you do to mentally keep yourself competing at the highest level year after year? And finally, what role does your support crew (e.g. coach, physio’s, manager, family, friends) in your success?